A Kenya that celebrates diversity. 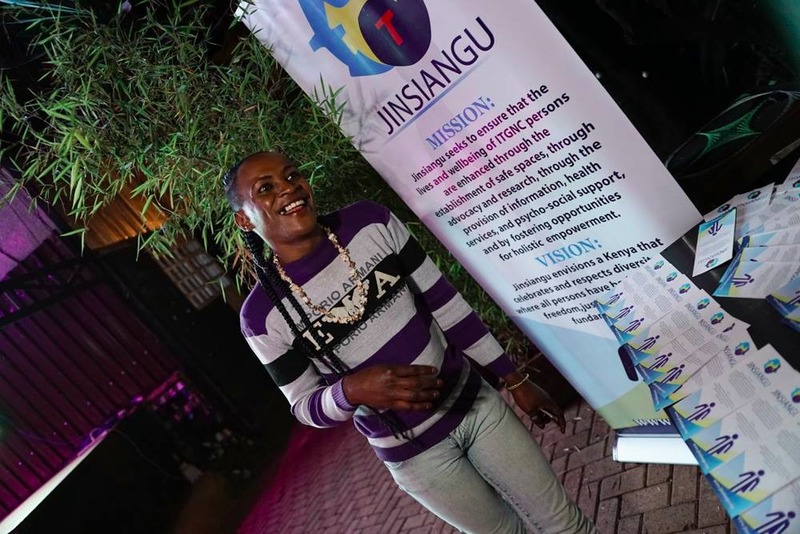 Jinsiangu is a Kenyan-based organisation established in 2012 to increase safe spaces for—and enhance—the wellbeing of Intersex, Transgender and Gender Non-Conforming (ITGNC) people in Kenya. Our name is a combination of the Swahili words 'jinsia yangu,' meaning "my gender." Jinsiangu is committed to ITGNC-led, pro-humanity and pro-equality organising. A Kenya that celebrates and respects diversity, and where all persons have bodily autonomy, freedom, justice and access to fundamental needs. Jinsiangu seeks to ensure that the lives and wellbeing of ITGNC persons are enhanced through the establishment of safe spaces, through advocacy and research, through the provision of information, health services, and psycho-social support, and by fostering opportunities for holistic empowerment. Our Values: Equality, Autonomy , Confidentiality, Accountability, Love, Perseverance, Integrity and Openness.